Blue Whales are the biggest animals on earth. So we headed out from Grindavik with cold crisp air and some wind. We first saw Harbour Porpoises, the smallest cetaceans around Iceland and they were fast swimming, then we headed further out in hope to find the Blue Whales which were seen the day before. Then we saw it, the blowwe were all waiting for and as we got closer we noticed some White-beaked Dolphins jumping and breaching around the whale. They looked to be annoying it but maybe they were feeding on the fish that were eating the krill the Blues were feeding on. 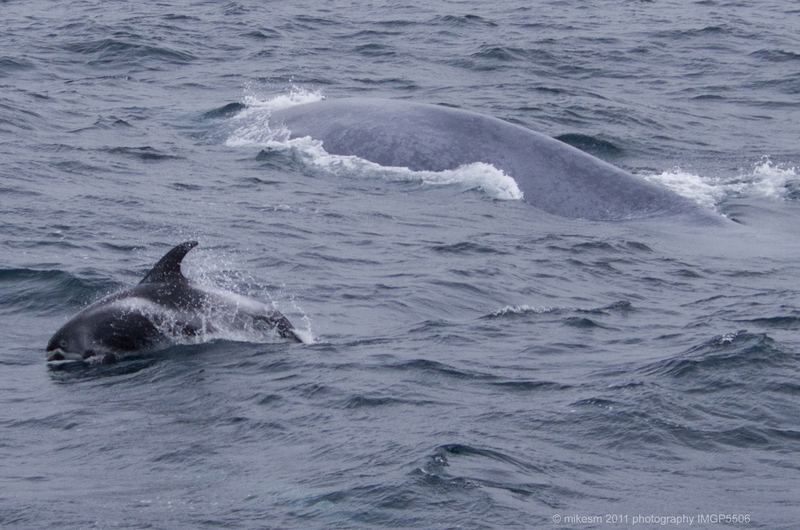 We watched these guys for a while until the dolphins left and the whale rolled just 5 meters from our boat. Absolutely incredible! !